Last Friday was the last day of the school year and the last day of our Great Homeschool Public School Experiment. Our kids were only in public school for seven months, but it really and truly felt like forever. Naturally, we sent the kids to public school to help them learn. The strange thing is that I think I learned even more than they did. Today, I’m joining up with several other iHomeschool Network bloggers to share what my child has taught me. 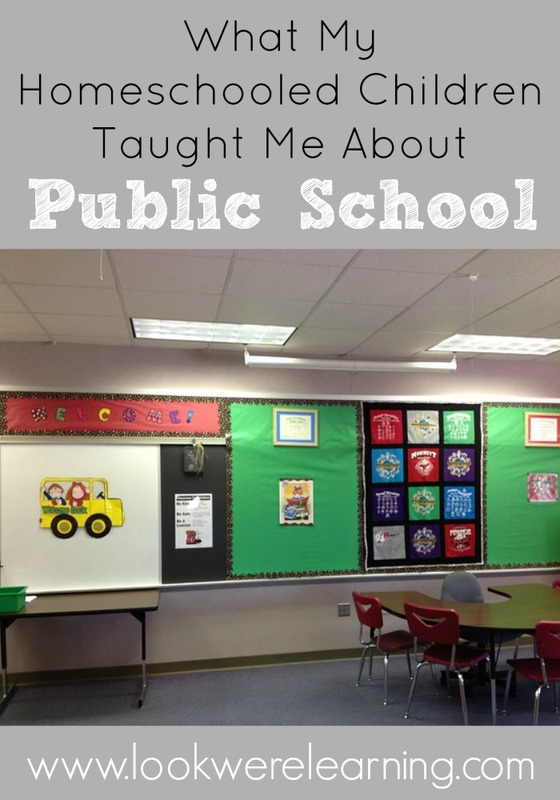 I’ll be talking about What My Homeschooled Children Taught Me About Public School! 1. It’s more work than homeschooling. I was one of those parents who thought I’d “get a break” by putting my kids in public school. Wrong. Public schooling is FAR more work than homeschooling ever was. Previously, I had the luxury of combining subjects and teaching all of my kids together. No more. Each child had his or her own teacher, own classroom, own homework, and own projects to complete. Plus, everyone had school events that I was supposed to attend. 2. My kids could handle it. Before we finally went through with the decision to enroll them, we wondered how well our kids would adjust to public school. After all, they’d never been before. They’ve never even been to daycare. So just being away from home all day with a group of children was a new experience. Plus, they’d have to deal with homework (even Roo had homework in kindergarten) and they’d have to deal with a handful of kids who were disruptive. Tigger’s class, for example, consisted of 21 students, including 14 boys. She sat in a row with three boys on one side of her and three boys on another. Naturally, she had some trouble concentrating. We were pleasantly surprised, though, to see our kids succeed. All three of them were on the Honor Roll every quarter, two were chosen as student of the month in their class, and all three tested several grade levels in reading. I learned that the work we had put in during previous years was valid. Which, ironically, made me start thinking about returning to homeschooling. 3. It’s not for us. More than all, though, my children taught me that public schooling is not for us. They were miserable in school. They loved what they were learning, but they hated the routine, the pressure, the focus on tests, and the time away from us. What have you learned from your children this year? Feel free to share in the comments! 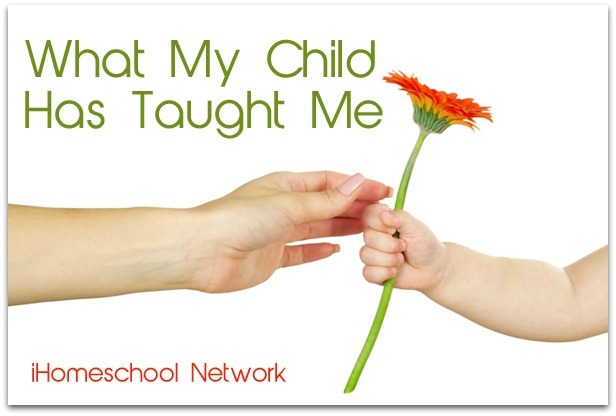 This post is part of the “What My Child Taught Me” linky from iHomeschool Network! Click over to read other great posts by my fellow bloggers! What an interesting linky. I am glad you all are returning to homeschooling and found your fit. I have to totally agree with number one!!!! I feel like public school is draining me! I have a preschooler that goes half days and a second grader that goes full days. Just the driving schedule alone is tiresome! We live on the outskirts of the county so the bus is not an option. I feel like keeping them home will only help me have more time to study myself, as well as have more time with them! Yep, having experienced both for years, I see benefits in both. But as a working mom, homeschooling has given my family so much freedom. My kids and I do need time away from each other So I use summer camps and a nanny to help since both my husband and I work. It is the best flexible solution for us. Glad you all experience d it. Great to “see” you stop by again! Loved reading this. Next year we are going to let our son attend Middle School and I am leaving the door open for him to come back to homeschooling. He is our youngest and having a big age difference, he is like an only child so he would like to go to school with friends. Having raised and graduated 2 older children through the public system I am not looking forward to it and will be curious to see how he feels on a busy schedule and heading out the door for sports after being in school all day, among many other things.